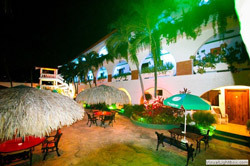 BlackBeards Adult Resort – One of the Premier and upscale Adult only resorts in the Caribbean now available for sale. BlackBeards Adult Resort is a world re-nown destination for singles and couples seeking a safe, secure, and private adult themed vacation. 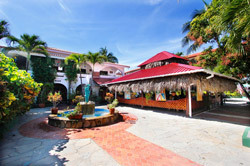 This beautiful and impeccably maintained 15-year old, full operation hotel resort is now available in the upscale beach side town of Costambar, Puerto Plata, Dominican Republic. 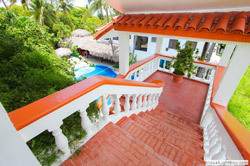 This full service (not all inclusive) and highly profitable hotel offers 22 rooms, a 40+ seat Full Service Restaurant, 2 Bars (including small discotheque), Free Form 45,000 Gallon Pool, Custom Built Private 20+ person heated Jacuzzi, Gift Shop, Massage Parlor, Lush Landscaping, Beach Access, Volleyball Court, and Tour Desk; all in a walled in Spanish Style Courtyard environment. 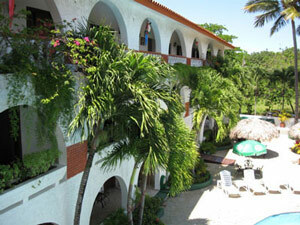 BlackBeards Adult Resort’s beautiful accommodations offer you a choice of singles, double, and suites. All of which are tropically decorated and include air-conditioning, ceiling fans, cable TV, refrigerators/mini bars, tile bathrooms, lock boxes solid Mahogany doors and marble tile floors. This hotel is a sound investment with excellent Real Estate Value proven income/profits, consistent occupancy, room for expansion and great growth potential. Click on our links for additional and detailed information.